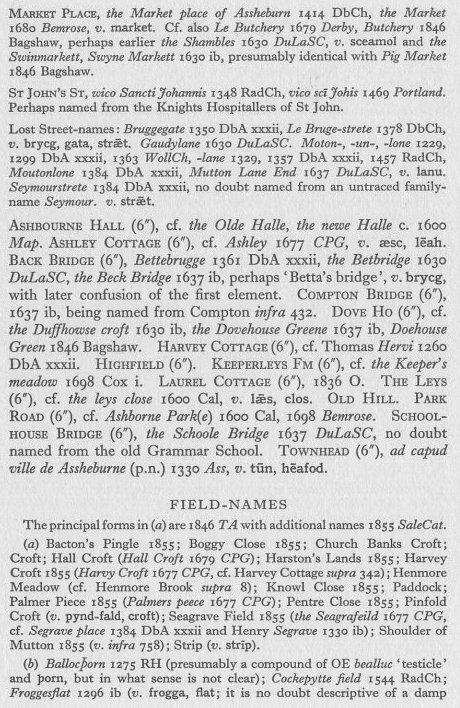 Here are 3 pages scanned from "Placenames of Derbyshire" by Cameron, covering Ashbourne parish in the Wirksworth Hundred, pages 341-343, Volume 2. 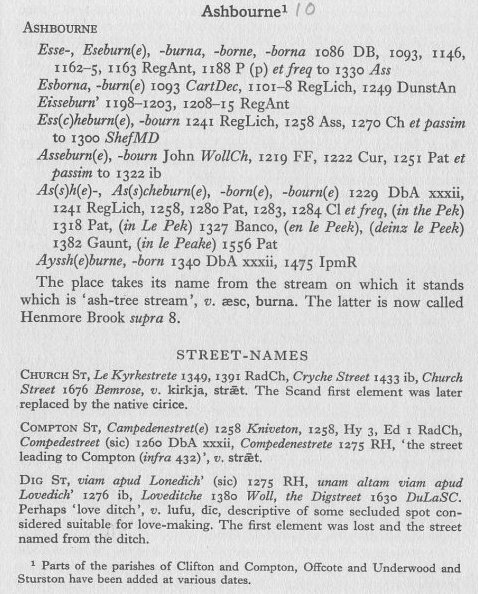 This work is the Bible for looking up placenames in old Parish registers. Many references are given, don't think you will need them but I will supply if necessary. I suggest you memorise the whole lot, failing that keep your own notes of places you come across with strange abbreviations. If you don't already have it, its worth buying yourself "Street Atlas of Derbyshire" by OS/Philips ISBN 0-540-07531-0 price £12.99. This marvellous work shows all parishes in Derbyshire, with modern street/place/field names, which will help you greatly in transcribing. Get back to me on if you have any queries. Remind me to remove this page when you've finished with it.